I’ve enjoyed many books from Entangled now and loved the description of this one. What I forgot to check though was the imprint designation…..My Fault and I own up to it! This is from the Bliss imprint, and though they are great for many readers, for me they’re just too sweet, too heart-warming and gentle. I need a bit more drama which comes via different imprints. Entangled say about Bliss: Romance is in the air at Bliss with fun, fresh, flirty stories of modern women and every-day men finding their happily ever after in sweetest of places. Its a perfect description and just what so many readers want – but not me. Having said that, this was an easy read, with likeable characters and storyline, Alex is so likeable and easy to empathise with. She and her chosen sisters and kids are so close, and have been through so much that when Hayden comes looking to see if her adopted daughter is his child, one he knew nothing about unti recently, its awful to think of what it might mean for them. Hayden is a nice man, wealthy, and determined to give his child the best, but he lives a long way away and if he takes Cassy then Alex will only see her maybe a couple of times a year. It’s story that makes you feel for all of them, happy as they are as a family money is tight, and the future looking a bit scary financially. Hayden doesn’t have that problem, he has money but little family other than his elderly father – Cassie would be so welcome in his life. Whichever whay things go you just know someone is going to get hurt and it made me feel sad for whoever it would be. They both want the best for Cassy, but what is best for her? Overall though I enjoyed this it was simply just a bit too happy, simplistic, sweet, charming for me. 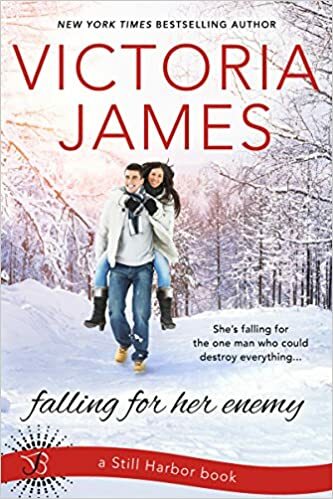 As always of course its well written and edited, and if you’re looking for a relaxing, simple read with a perfect HEA then this is one that could be perfect for you. Stars: Three from me, a good book but not really my kind of read, this will be five star if sweet and light is what you want.